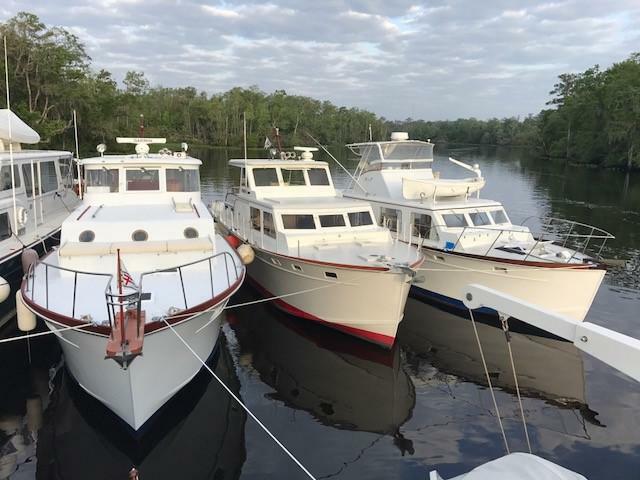 Huckins Yacht, iconic American boat builder, celebrated their 90th Anniversary at the Huckins Boatyard in Jacksonville, Florida on April 14th, 2018 amongst 200 of their friends. 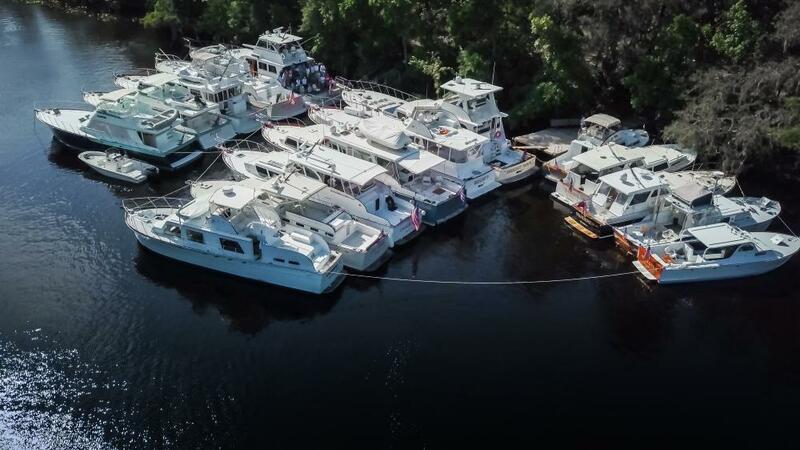 Current and past owners, employees, supporters and enthusiasts came from all over to celebrate all things Huckins. 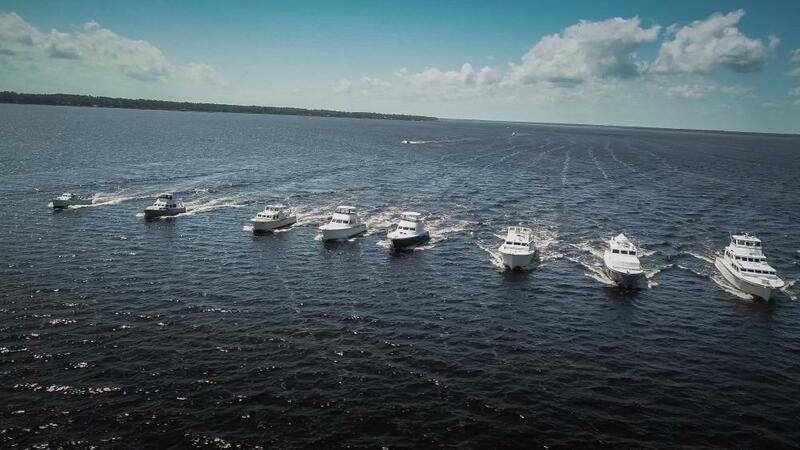 This was in conjunction with the Owners Rendezvous on April 13th. 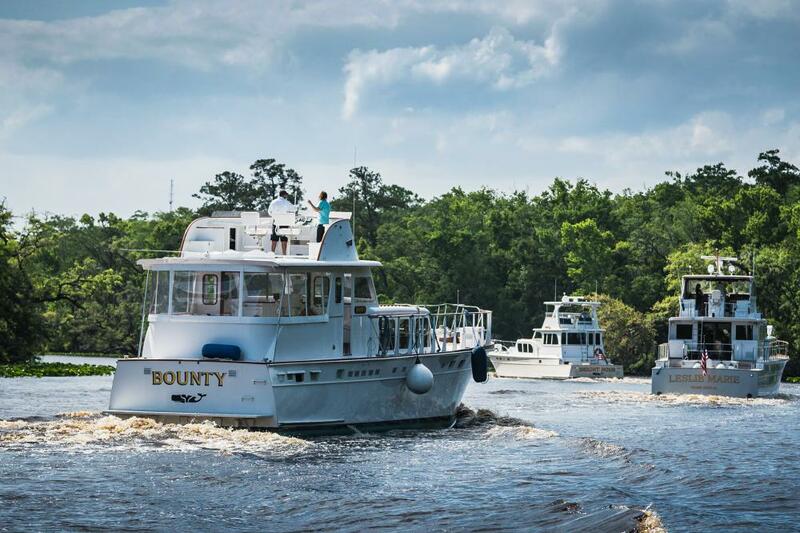 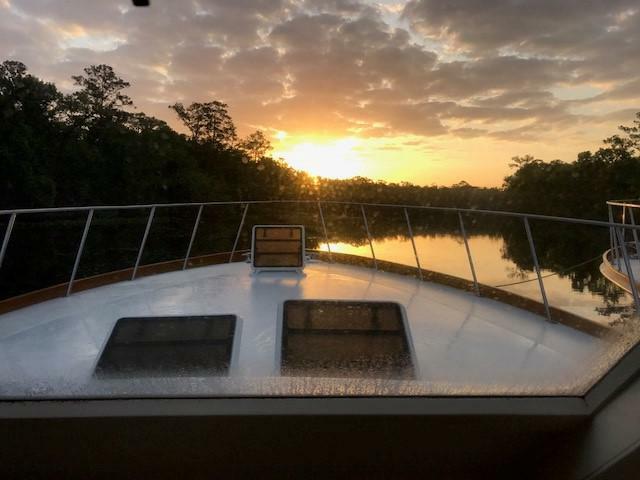 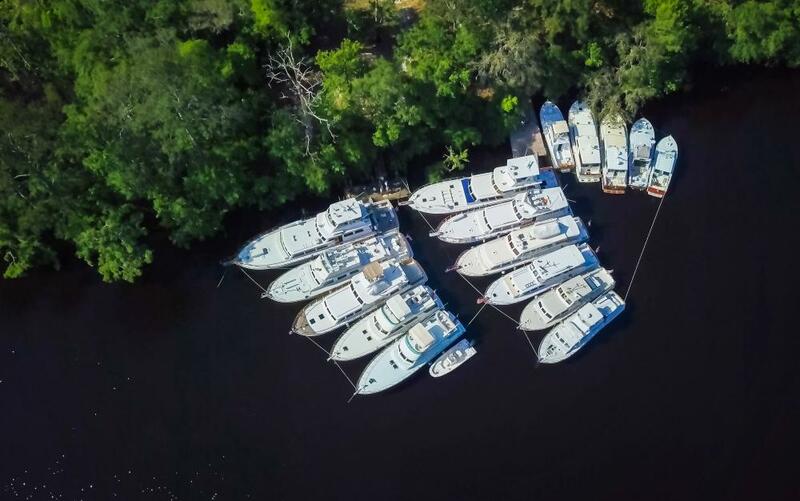 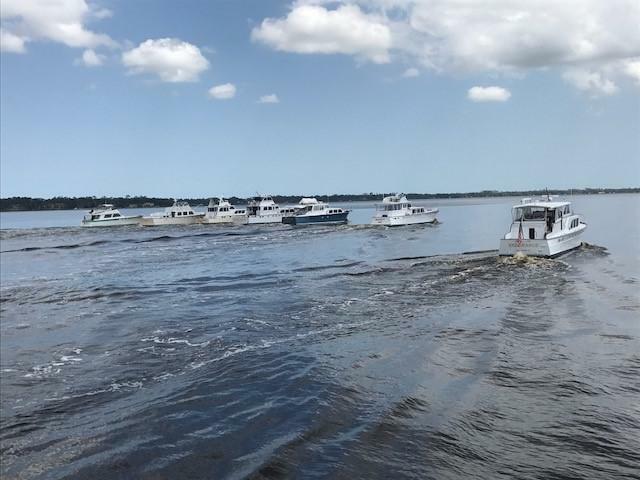 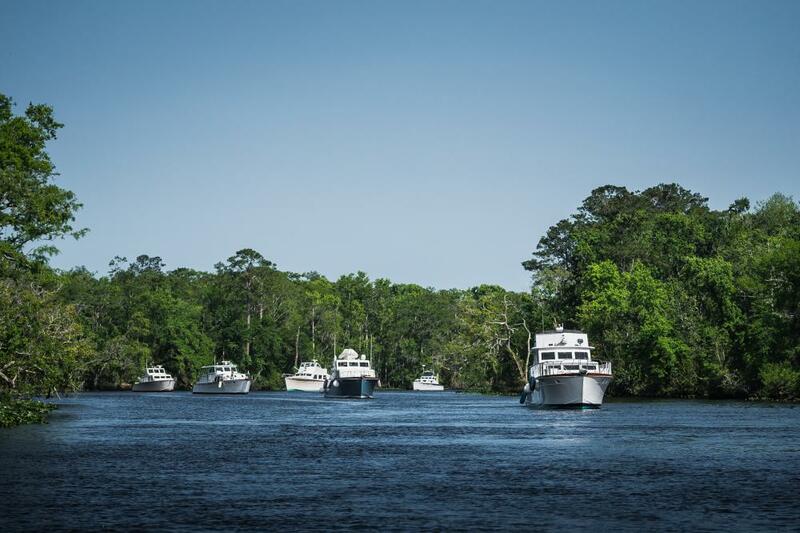 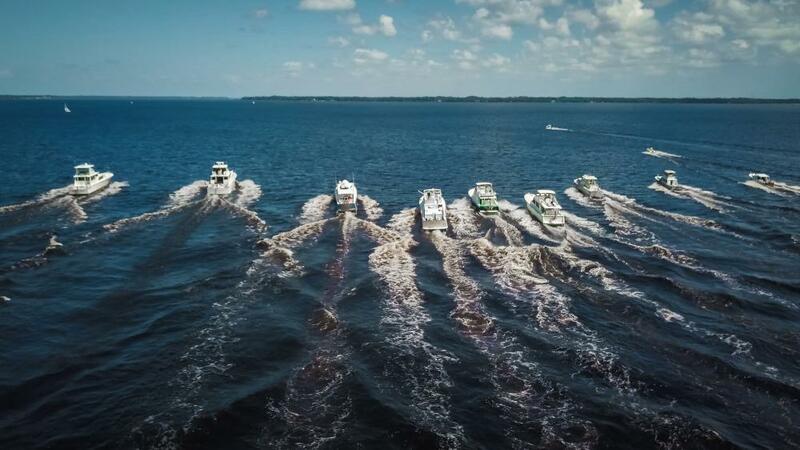 Seventeen Huckins ranging from 33' - 75' ran up the St Johns River, rafting for the night at Black Creek in Green Cove Springs, FL. 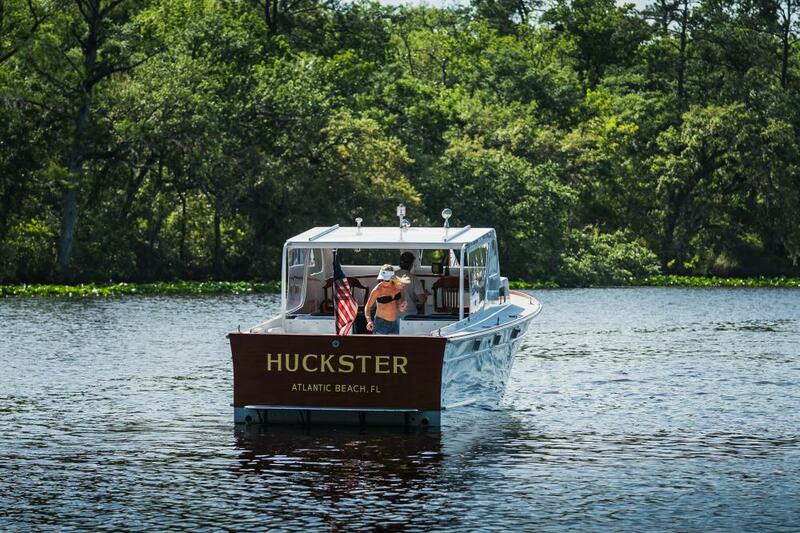 Huckins is one of the oldest family-owned custom power boat builders in the United States today and Huckins history is on the cusp of adding another chapter. 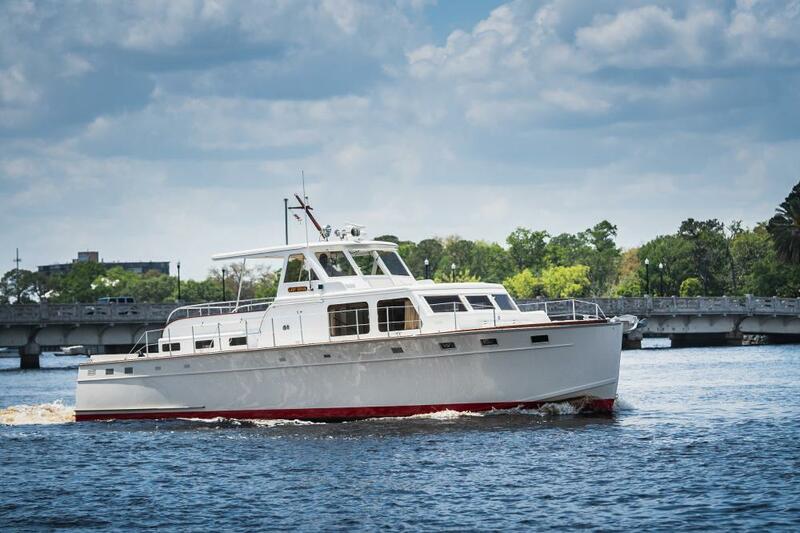 For the grand anniversary of 90 years, Huckins is introducing a new era of production manufacturing using the same high-quality engineering, design and construction standards demanded by the past discriminating owners. 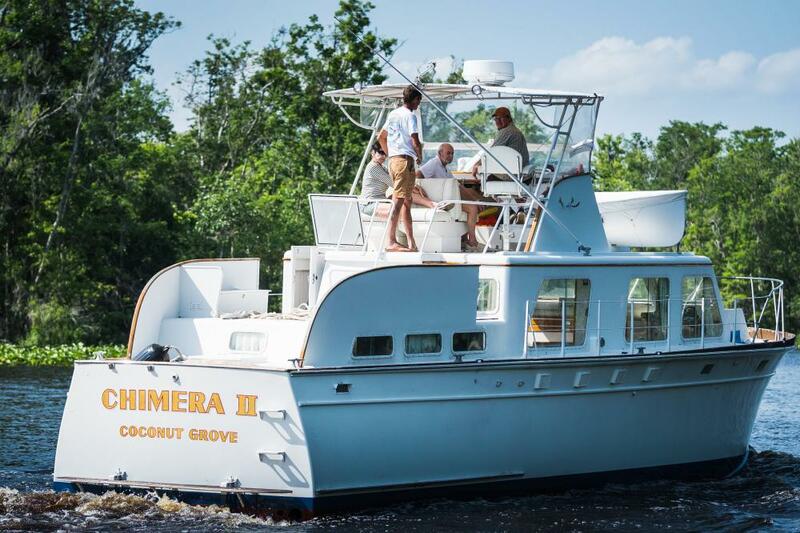 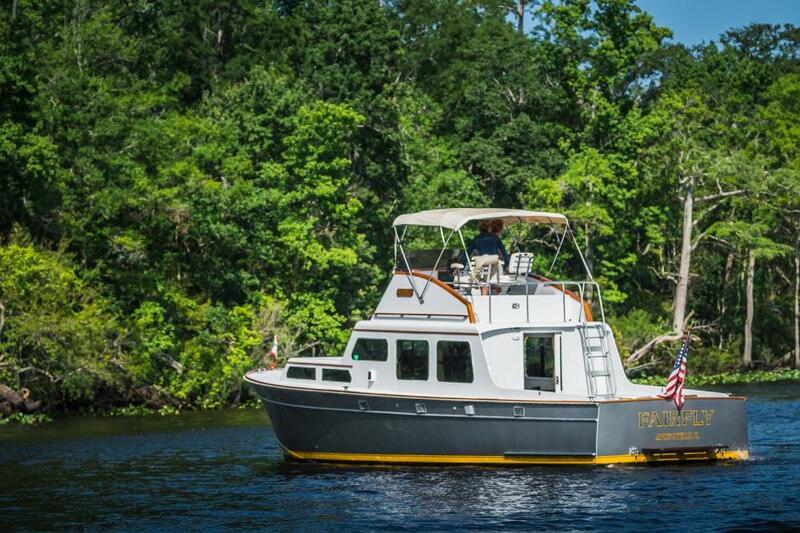 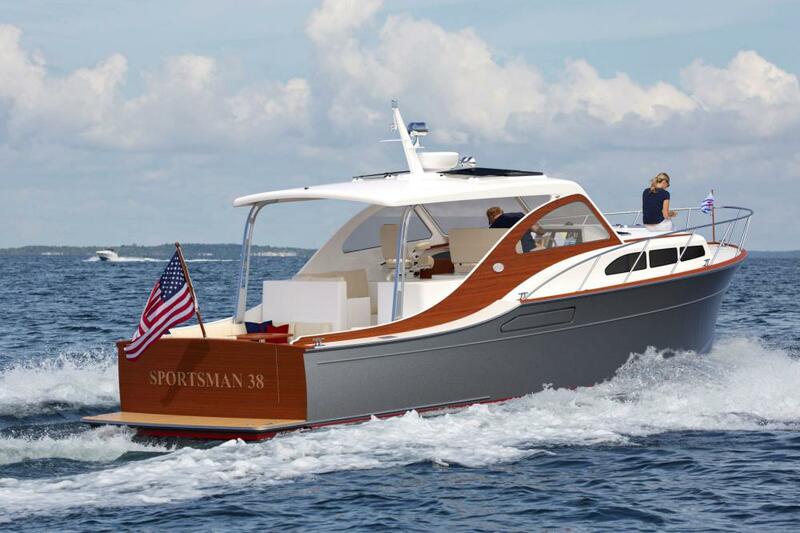 Huckins' first debut of the new venture is a 38 Sportsman with genealogy roots stemming from their 1936 36 Sportsman. 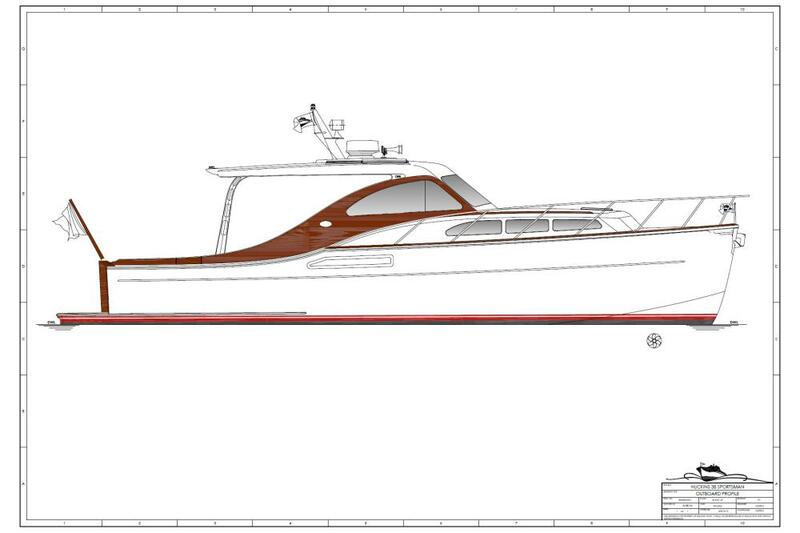 Not only will this boat's profile resemble the art deco era fast forward into the 21st century, but the interior will be fitted to suit the most fun loving individuals with crowd pleasing comfort. 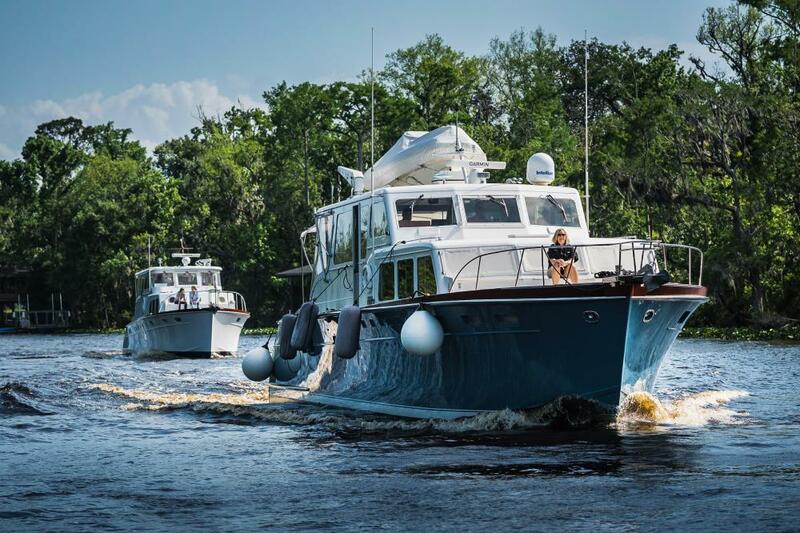 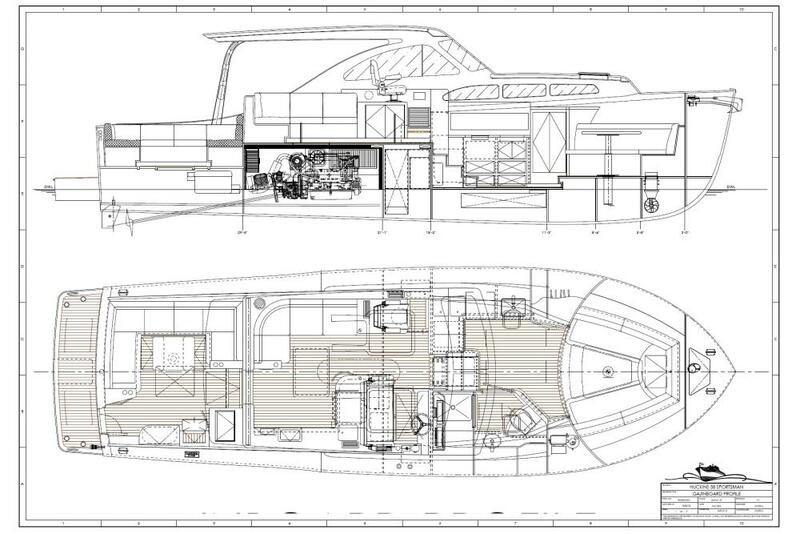 Huckins will also remain true to being a forerunner of the industry by using dual hybrid propulsion. 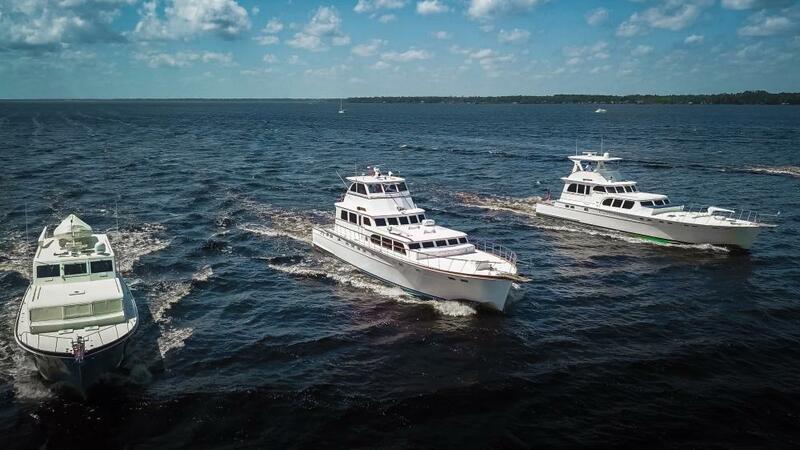 The silent cruise will be propelled with twin electric motors. 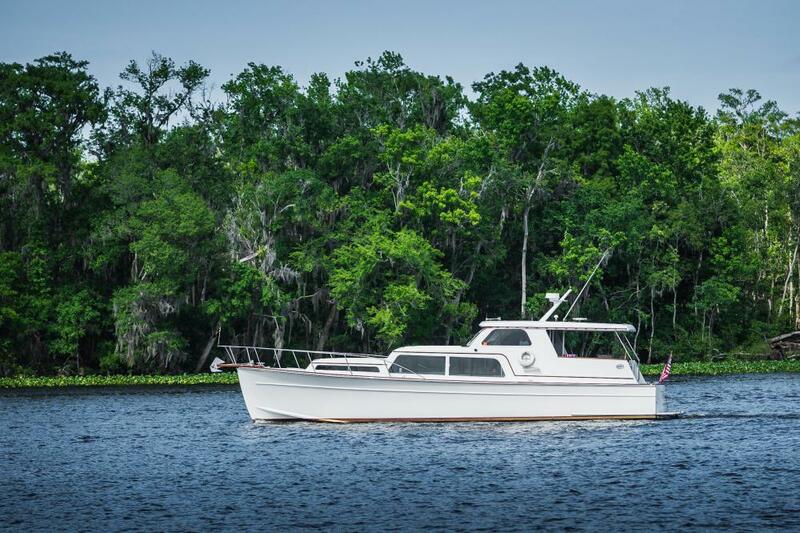 This system is designed and offered by ELCO, who began powering yachts electrically in the late 1800s; all American made and perfect for navigating no wake zones. 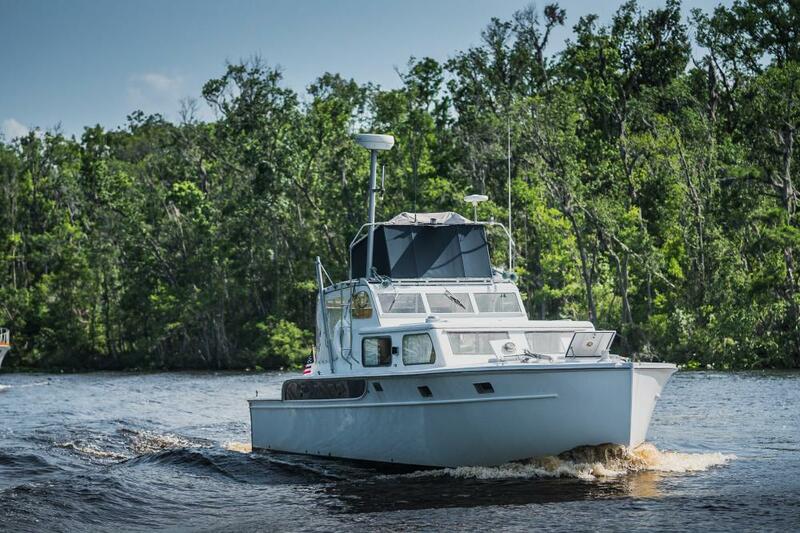 When you are ready to go fast, press a dash panel switch, advance throttles, and the twin Cummins 380 hp will kick you into speeds over 35 knots. 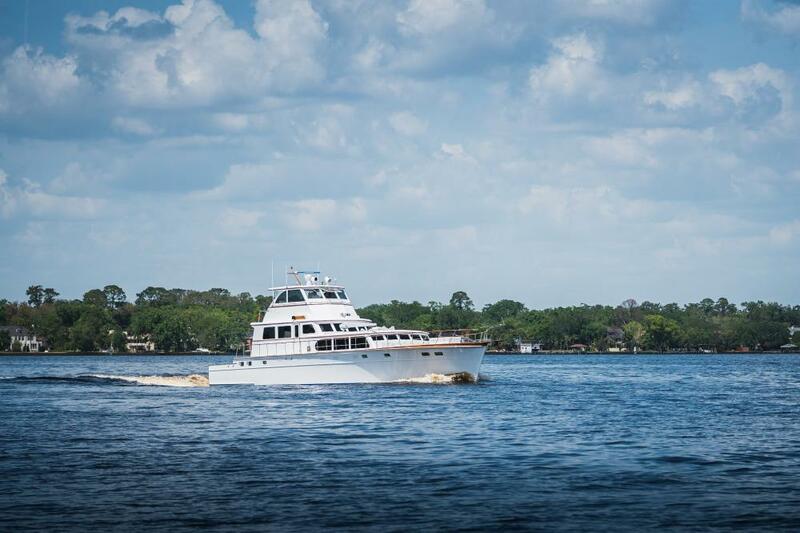 Since 1928 Huckins Yacht has played as a major leader within the yachting industry. 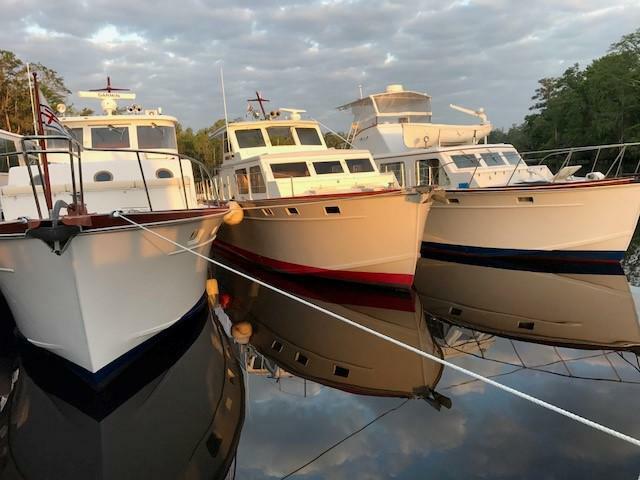 Huckins is still owned and operated by the same family and now granddaughter of the founder, Cindy Purcell. 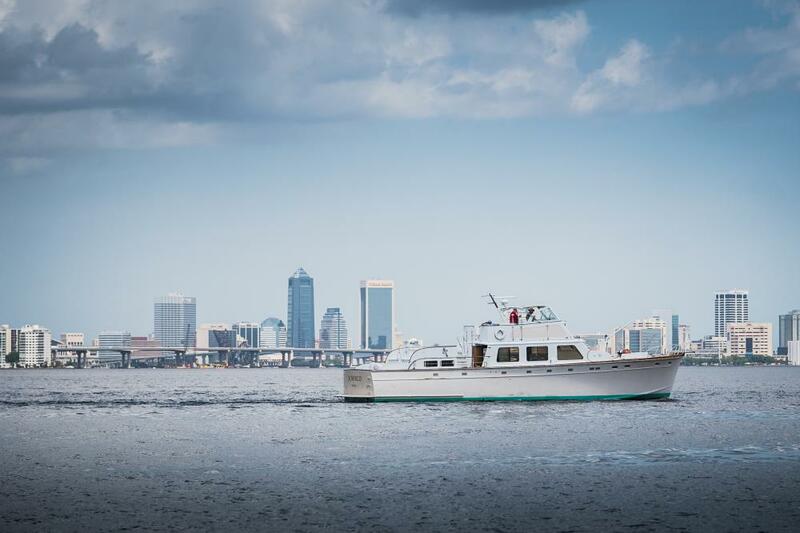 Since the 1920's the hull has maintained its fame for nine decades as being extremely efficient, sea kindly, light and structurally bulletproof. 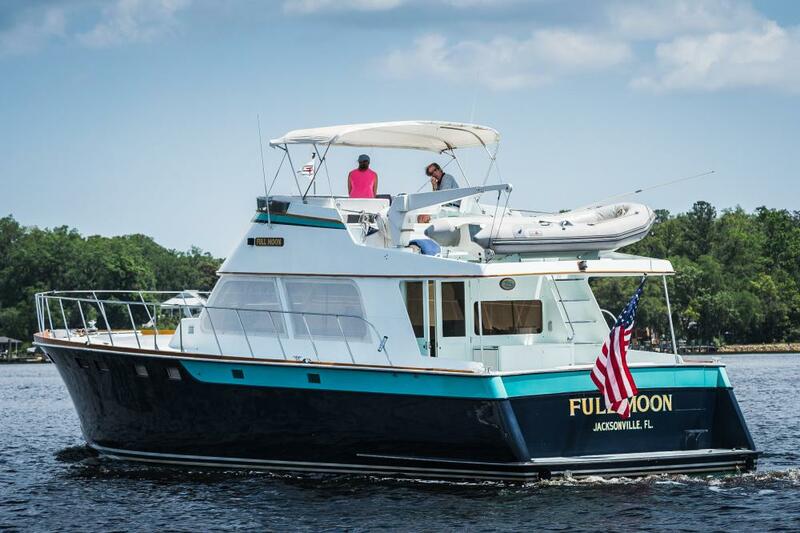 The achievement list is long, but few know of the innovations or mystery each Huckins possess.